The Challenger 250’s are high-performance power amplifiers with intelligent Power Management that provides a unique listening experience. They are a continuation of our successful Challenger series (115, 150 and 180) of mono blocs first introduced in 1987. The Challenger 250’s achieve a new level of definition and perfection in quality of sound. Like all AudioValve amplifiers, the Challenger 250’s attract attention through innovative technology, beautiful design and accurate circuitry. 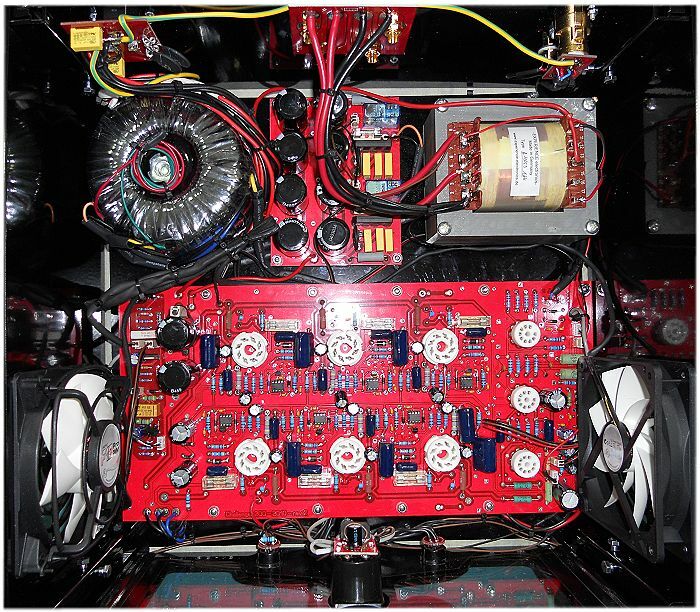 All AudioValve amplifiers are handcrafted products, produced with accuracy and precision. The revolutionary and proprietary ABR circuitry, developed in-house, supervises, affects and controls each KT90 tube independently. All Challenger 250’s are delivered with KT90 tubes, which may be replaced with pin-compatible Beam-Power pentodes – the ABR sets up the correct bias-current automatically. This allows the customer to use whatever tube creates the best sound for him/her. Another awesome convenience is that the circuitry is totally balanced throughout, which makes it possible for these amplifiers to drive all sorts of speakers, from normal drivers to exotic electrostatics and ribbons. The Challenger 250’s are particularly suitable for large speakers in big rooms. Enjoy the sonorous sound and the authentic replay that they achieve! No matter which kind of music you prefer, the Challenger 250’s are flexible and multi-functional. These amplifiers turn every kind of music – Heavy-Metal, Pop, RocknRoll, Classical – into something special. New compact design, which evolved from customers’ requests for a product that fits into a larger number of standard component racks. Intelligent Air-Conditioning System protects against excessive heat and produces little noise. Finest production materials/components available, resulting in an exceptionally high musical quality and an exclusive musical experience. Newly designed face plate combines an accurate analog panel meter, an engraved logo and LEDs that illuminate in red or in blue, depending on whether the ampliers are on, off or in stand-by mode. 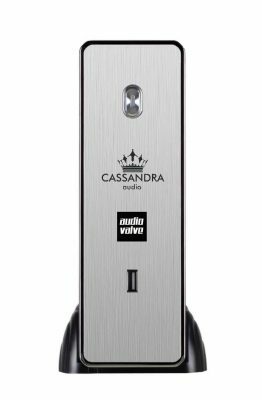 Intelligent Power Management assures that the power consumption conforms with the sound volume. Circuitry Protection – through the use of electronic fuses, which prevent consequential damages in case of a total loss by a power tube. 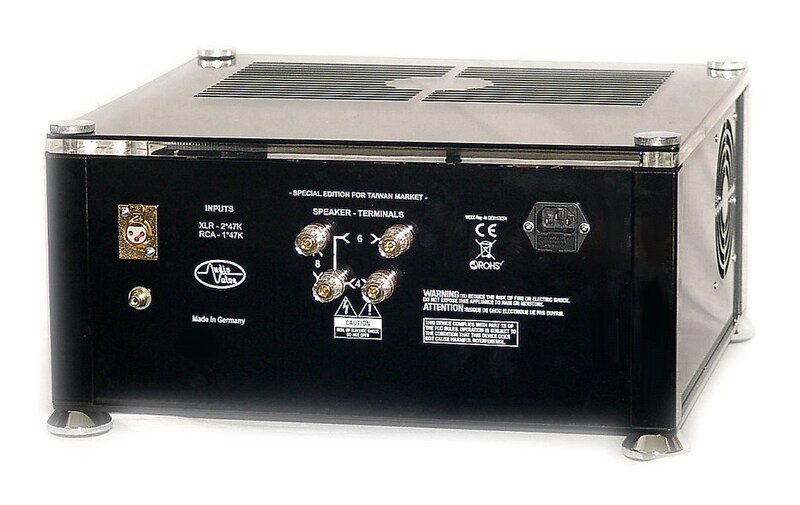 The fuses react quickly and re-set themselves automatically after the tube has been replaced. 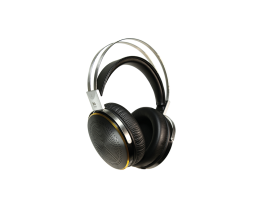 The Challenger 250’s are reliable and designed to provide you with many years of great pleasure and musical enjoyment. 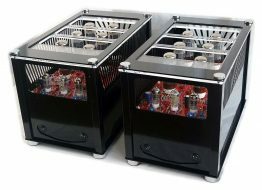 These amps are a standout in the market of tube amplifiers and a product for every music-lover who sets value on this advanced technology. There are some special features in the Challerger 250 that are worth mentioning. There is, for example, the ECO mode automode. Challenger has sensors that check whether an input signal is present or not. If there is no signal, the Challenger falls into a sleep mode (ECO mode). In this situation, the anode voltage has only 50% of the nominal value, so instead of 700 vdc only 350 vdc. In addition, the quiescent current of the end tubes is reduced to 20% of the nominal value. This measure significantly extends the life of the tubes and also lowers the heating of the amplifier. In this ECO mode, the Challenger still play music at a low level. Only when the signal sensor registers the increase in the input signal does the Challenger automatically ramp up from ECO mode to normal operate mode, the bias current is increased to normal, the anode voltage doubles to 700 VDC, and the fans automatically increase their speed by the resulting To transport heat from the amplifier. Now the maximum power of the amplifier is available. One of the best power amp I’ve ever listened to. The AudioValve, established in 1982, was owned by Helmut Becker, who has been interested in vacuum amplifier since he was 15 years old. He even assembled the equipment on his own for a few years before he quit his job at the medical equipment manufactory, and concentrated on his dreams. So far he has had more than 40 years of experience in this field. He is a guitar player and music amateur with a particular taste. Over the years he, together with his wife, establishes an enterprise, while he works at the circuit design and his wife the external shape. Their company is moderate in size; however, its products have won a wide range of favor. 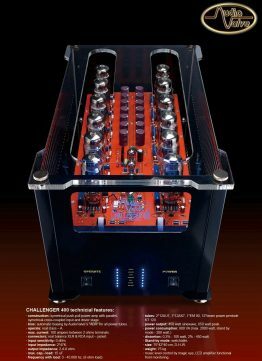 I have listened to their products for several times; however, I cannot remember I’ve ever listened to such a powerful single-track power amp as the Challenger 250. The Challenger series were launched as early as in 1987. With so many years of improvements from the 115, 150 to 180, now the 250 that I listened to was promoted in 2000. It’s special because it can use many power tubes such as KT88, 6550 or EL34. Just plug in the tube and then you can listen to the music, without anything else to worry about. Of course, different tubes will decide different output power. 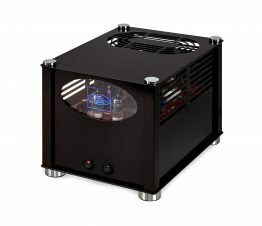 Furthermore, the Challenger series apply the Auto Bias Regulator, and therefore to it is unnecessary use matching tube. 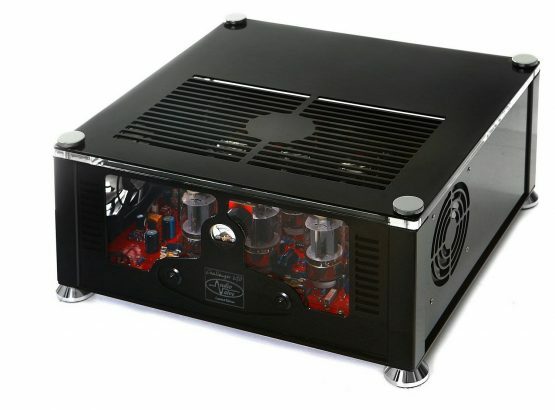 This company has repeatedly pointed out that it is unnecessary to buy expensive tubes to match its vacuum-tube amplifiers because ordinary tubes will also make beautiful sound. Besides, the Challenger series are built in completely balanced architecture from input stage all the way to output stage. Even transmitting through non-balance input terminal, the music signal will be split into two groups: positive and negative, which will then be conducted into the back-end balancing circuit. Because of the balanced architecture, the power amps of this company apply the PPP (Parallel Push Pull) drive, which is different from the common SRPP (Series Resistance Push Pull) drive. Finally, its power amps apply the Cathode Follower output architecture, which is quite uncommon, because the Cathode Follower is generally used to match the impedance or used in the pre – amp. 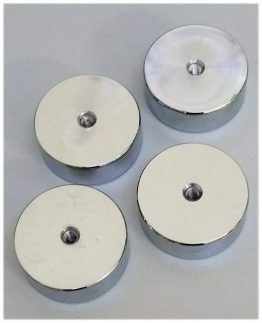 As we know, generally there are three ways of connecting vacuum tube, which are Common Cathode, Cathode Follower and Grounded Grid. To obtain high voltage gain, the best choice is the Common Cathode, which, however, will lead to high input and output impedance, opposition phase output and limited bandwidth. In order to obtain normal phase output, high output impedance, low input impedance, good performance in bandwidth and linearity, it is better to use the Cathode Follower, which, however, has no voltage gain (≤ 1), and can be used as a buffer stage, and therefore, the fore end has to have sufficient gain. The advantages of Grounded Grid are high gain, good performance of bandwidth and linearity; however, it also has weak points such as low input impedance and high output impedance. 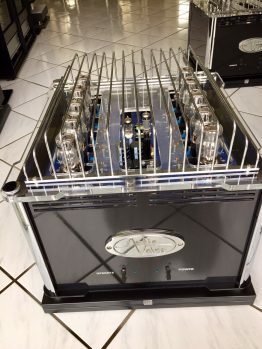 One consideration for applying the Cathode Follower at the output stage of AudioValve Power amp, I guess, is to avoid the influence of the peculiarity of power tube (never be particular with tubes), which enables the user to enjoy beautiful music without applying expensive power tubes. However, to apply the Cathode Follower at the output stage means that the voltage amplification of the fore end becomes more important, otherwise the whole equipment may fail. As a matter of fact, from the perspective of the price of the Challenger 250, its external shape is, although far from being noble and exquisite, quite unique. Its cover is built out of black metal plate carved with grid. The panel is also directly carved out and replaced with the acryl and at the center is placed an analogue VU meter, and it looks quite classic. On each side of the meter there is one button, with the right one being the power switch and the left one the Standby button (it will not shut the power of this whole equipment, but only the plate voltage of the vacuum tube, which will still keep the tube warm at any moment). The backboard is also quite simple, with both XLR and RCA input terminals, and two speaker terminals, one of which is 8 ? and the other 6 ?, and nothing else. If anything can be counted as noble, they are those four gild legs. The arrangement of black with gold is always the noblest, isn’t it? It is quite easy to remove the cover of the Challenger 250, and without any screwdriver, anyone can remove the gild screws on four corners of the cover with bare hands. With the heavy cover being removed, it’s clear to see three small tubes (Russian Electro Harmonix tube), six KT120 power tubes (KT-90 is also usable and it can be replaced with any beam power tube.) and a circuit board with THT (Through Hole Technology) components without any surface mount component. On the back of the cabinet there are a round power transformer and an EI output transformer. Beside the power transformer there are eight Rifa filter capacitors, rectifier, relay and so on. There are quite a few internal wirings, all of which are of thick wires. What’s special about the cabinet is that on its both side there are two radiator fans, which will start to rotate to remove the heat when the power is on. The radiator fans are usually placed on the bottom and extract the air from the below to cool the vacuum tubes, while those on the Challenger 250 extract the air from two sides. Put your hands over the cover of the cabinet while listening to the music, you will feel no hot air rising upward, which has been extracted sideward. On the user’s guide, the company specially points out that it’s better to plug normal speakers into the 8 ? terminal, and if the speaker is of 4 ? or 16 ?, please plug it into the 6 ? terminal. The Challenger 250 is a single-track amplifier with quite a moderate size, although the output per track is up to 350W. Each power tube of the Challenger 250 is controlled by the Auto Bias Regulator, and you don’t have to adjust the bias manually and can enjoy the music as you like. One LED is placed on the right side of each power tube, which will remain off while the tube is on normal operative mode. And if anything is wrong with the power tube, the nearby LED will be on, and then the defective power tube must be replaced. After the replacement, this LED indicator will be off. If the LED is still on, please check the fuse on the back of the power tube, below which there maybe a flickering LED. In that case, please replace the fuse, and mind that it has to be the 630mA time-delay fuse. If the LED is still on after all those procedures mentioned above, the equipment may need repairing. By the way, if the amplifier is on Standby mode, the LED beside the power tube will still be on, which is normal, please don’t worry. Besides, if the equipment is playing music at high volume, those two LEDs beside the power tube will flicker, which indicates that the Auto Bias Regulator is now controlling the bias, which is also normal, please don’t worry. It has been a long time since I last time listened to the AudioValve equipment, and this time when I listened to the Challenger 250 power amp, it took me by surprise: how could it sound so beautiful? 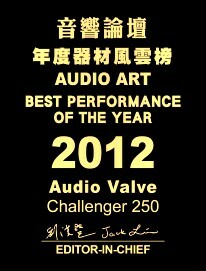 I beg your pardon, because I don’t mean that the previous AudioValve equipments sounded bad. They had already reached a considerably high level long before. 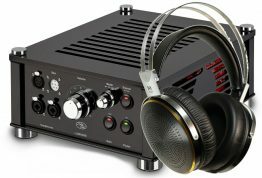 However, this time I listened to the Challenger 250 power amp with the power-disconnected Conductor pre-amp of this company (the forum awards to it the Best Performance in 2010), and I think that the beauty of its sound and the 20 Factors of Music far exceed its previous impression in my mind. Is it because I misinterpreted the performance of the AudioValve before? Or is it because the AudioValve has made ground-breaking progress in recent years? No matter how, the Conductor pre-amp and the Challenger 250 power amp can definitely edge into the top rank of amplifier. 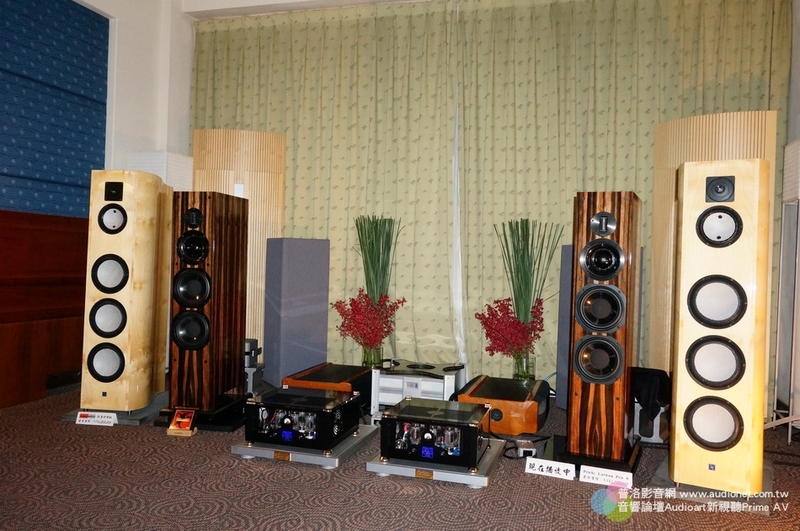 The matching digital signal source is Esoteric SA50, which is used as the turntable, and it is connected with the Weiss DAC 202 analog-to-digital converter and two pairs of speakers of ATC EL 150P and Vivid G2. The former is good at creating the feeling of massive scale and relax feelings at the middle and low frequency. While the advantages of the latter lie in precision, sweetness, lightness and static reaction. And the final version is about the joint performance of these two pairs of speakers. 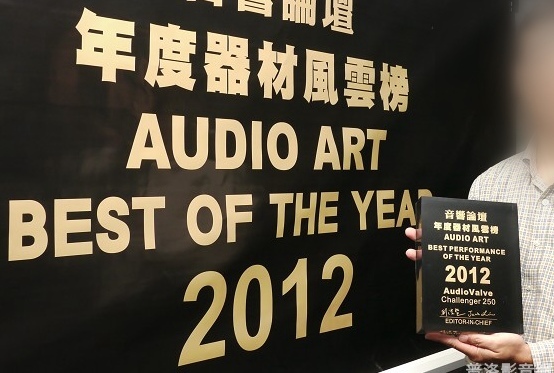 Since the AudioValve amplifier used to impress me with its beautiful tone, I listened to Tsai Chin’s Golden Concert Hall at first. Just as expected, the Challenger 250 didn’t let me down, and the tone of this whole CD was very beautiful and it sounded pure, mellow, soft, clear and full. Let me put it in another way, it is just like beef noodle soups made in two different ways: one is made instantly by mixing pure water, soy sauce and other sauces; the other is made by stewing bones slowly for the whole day. What are the differences between these two soups? The former tastes monotonous and lacks in flavors. While the latter tastes full and smooth. If these two kinds of beef soups are kept in cold storage for one day, it can be found that the former will still be water-like liquid while the latter will be like jelly. Why are there such differences? It is because that the beef soup that is made out of long-time stewed bones is full of colloid substance, which is released from the bones and condenses to jelly when it meets the cold. The instant beef soup that is made out of sauces will never taste fresh but mouthful of sauce flavor, far from being like the bone soup that is full of colloid substance. And the performance of the Challenger 250 is just like the bone soup, which is full and fresh with lingering aftertastes. With the Golden Voice Concert Hall played, I took out the Outcasts. Similarly, the tone of this whole CD got improved greatly. The Challenger 250 made the tone of cello more beautiful, which used to sound coarse and hard. Well, to be honest, “more beautiful” as I said is faulty in wording because it would not make the cello sound more beautiful, and it just reproduced how it sounded originally. At first the Challenger 250 impressed me with the good tone. No! It should be the joint impression of the Conductor pre-amp and the Challenger 250. Having listened to two test software, I laid the emphasis on the clearness and details, using Dim Sum of Ying Quartet of Telarc. After hearing the first two pieces, a sense of admiration for the Challenger 250 arose in my heart. Why? It was because the music that I heard was very clear, so clear that even the stringed instruments could be seen floating in the air without any sense of artificial recording, and it felt like a live performance before my eyes. Is there such clearness in the world? Yes! And ordinary amplifiers can never make such clearness, and only real good amplifiers can do. It has nothing impurity, but is full of brightness. Besides, I also heard unspeakable details, which included the string strumming that had not been degraded through artificial recording, and even details much subtler were also represented vividly. 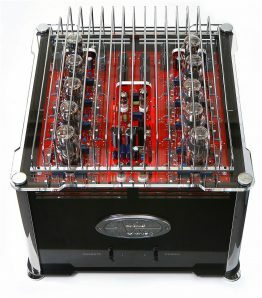 To be honest, I was taken by surprise, because it was quite difficult to perform such clearness and details, even for quality transistor amplifier, and I think I only had such experiences with the top single-ended direct-heated triode amplifier. However, since the Challenger 250 was not transistor amplifier, its performance with such clearness and details was quite unbelievable. Additionally, since the Challenger 250 represents the original string music with good tone, it has all that we need. 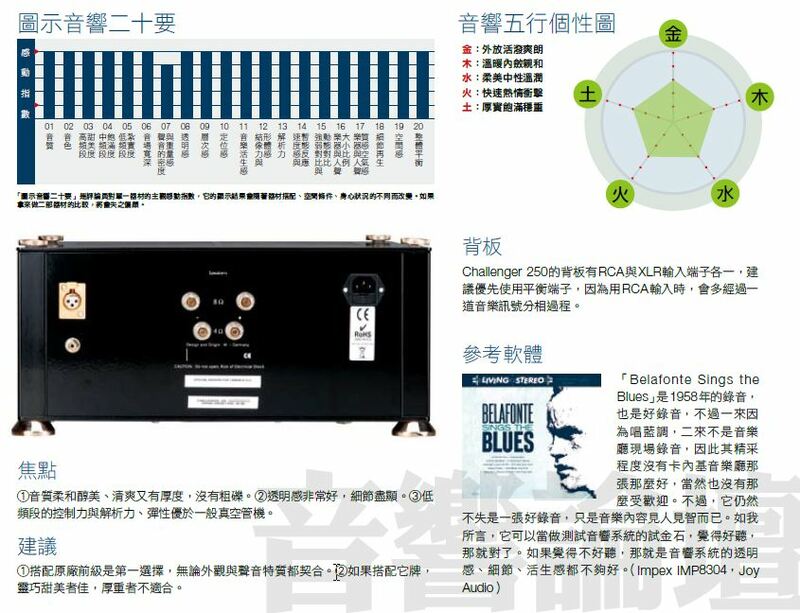 Having listened to the Dim Sum, I was surprised by its high clearness and rich details on one hand; what I’d like to remind the reader on the other hand, is that the amplifier with such good performance must be matched with high-level signal source, or it will become “garbage in, garbage out”. You have to be very careful with the speaker, and the bright-style speakers are not appropriate because then the tone of the music may become monotonous, and the self-restraint style or neutral style will do. Furthermore, if you feel that the music from the Challenger 250 lacks in clearness, you can correct it by change the signal source cord or speaker cord, which may cause such problems due to its deterioration. If the music sounds too bright as to be uncomfortably dazzling, besides the cord materials, you still have to consider whether the environment belongs to hard style, and it is because this kind of space will extend the high-frequency reverberation so that the tone may not sound warm enough. Then I wanted to listen to some music that will make me feel relax and comfortable, and I selected Anne Bisson’s Blue Mind. I found that the singer’s voice and the accompaniment were both full and smooth, which was not simply soft but also with proper elasticity and resonance. What was more fascinating was that the brightness and sweetness of both the instruments and the voice were so good that it was just like that they were burnished by bee wax (please just imagine such scenes). Besides, with high clearness, the music was very bright with all the details emerging from the bottom. As to the proportion of the accompaniments with human voice, it was very healthy and decent without being too large or tiny. With those CDs mentioned above, I should begin to test the greatest weak point common for vacuum tube amplifiers: the control over the low frequency and the elasticity. At first I listened to the Super Bass 2 of Telarc and first of all, I felt that the elasticity of Bass was surprisingly excellent and the Bass note concentrated in clear shape, which, however, was not massive at all. It was strange because its damping coefficient was only 8, how could it manifest such elasticity? This was quite unexpected. It was just because the Bass that was full of elasticity and not huge in size, it represented much vividness. To be honest, it is very rare to hear such elastic and clear Bass notes with vacuum tube amplifiers. What was more fascinating was that the Bass that the Challenger 250 performed was good in tone, even with some sweetness. Wait, did this sweetness belong to the high frequency of violin? Did the chief editor know what he was talking about? No, this was real, and it was due to the excellent tone. Besides the excellent tone, the Challenger 250 was also among the best in representing the spaciousness and such details as the live audience’s position, applause, cheers while playing this live music, which I could only describe as the “vivid live-ness”. After the Bass test, it was necessary to test its low frequency performance with popular music, and I selected Jiang Hui’s Red Line. First of all, what fascinated me was that the whole music was sweet and bright, as if being smeared with honey, and what followed next was the drumbeat, which was more clear than I had ever heard. Did the drumbeat also have resolution? Yes, it felt like viewing images through lens of high clearness. Besides, various accompaniments in the music were reproduced clearly with nothing lost. Finally, Jiang Hui had very sweet and pure voice. “View through lens of high clearness”? This may be difficult for some readers to understand, I will take another example to explain. Although many people have this CD named Belafonte Sings the Blues, they don’t understand why the Music Forum regards it as excellent music. Does it sound ordinary without any appeal? The problem lies in your acoustics, which lacks in good clearness and cannot reproduce enough details as well as strong vividness, and therefore this CD sounds unattractive. If the equipment lacks in clearness, this CD will sound “dull” without enough brightness. Without enough details, Belafonte’s voice and the accompaniments will not sound real. Without vividness, the slow blue music will sound sluggish and boring. However, the Challenger 250 can reproduce quite high clearness (nothing dazzling), many details and good vividness, and therefore, whenever this CD is played, even though the blue music is so low as to make one feel sleepy, it always sounds vivid. Speaking of listening to music, the most important is to be comfortable, and what comes next is the exciting sound effect. If there are only exciting sound effects, it will not be long before the ears get tired and the nerves become stressed. However, if the music can only make one feel comfortable with nothing exciting, it is just like listening to the background music on the bed, which is quite usual. 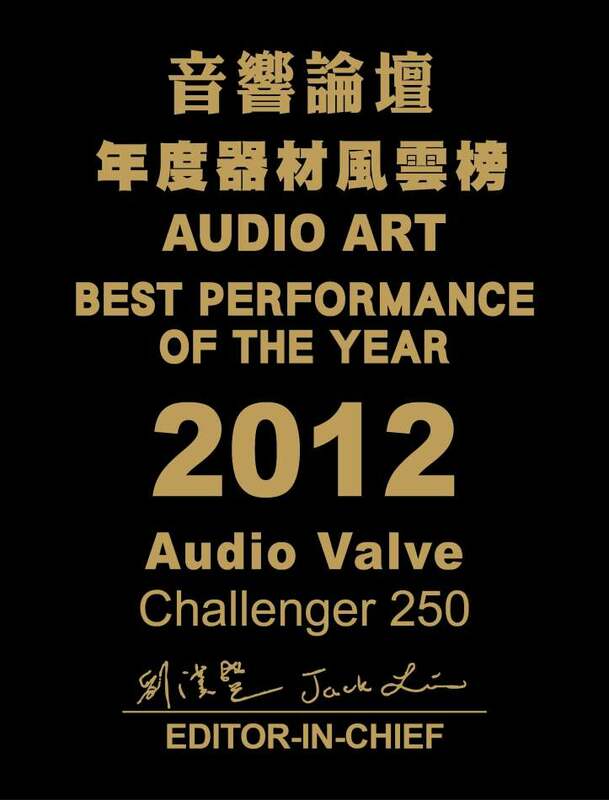 The AudioValve Challenger 250 is a power amp that is good at these two aspects. 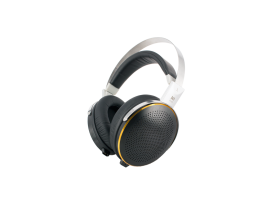 When you use it to listen to music, you will feel comfortable from inside but never tiresome even after a long time. Furthermore, due to the catalysis effects of its details, clearness, vividness and elasticity, your blood will be accelerated all the way to your head and feel excited. With this quality plus the fact that it is never particular with the tube, I hereby enter the Challenger 250 on the list of the best power amp that I’ve ever listened to. It is clear to view the interior of the Challenger 250. Each track applies six KT-120 power tubes, and many LEDs on the circuit board indicate different modes. The radiator fans of the Challenger 250 are placed on its two sides, without applying the common up-down ventilation. The Figure of 20 Factors is an index of the reviewer’s subjective impression for single equipment, and its result will vary with different equipments, environment and mind and body conditions. Its results, if taken as reference the comparison of two equipments, will be biased. 1 the tone is gentle, pure, clear and mellow without any coarseness; 2 excellent clearness and rich details; 3 better control over the low frequency, resolution and elasticity than ordinary vacuum-tube amplifiers. 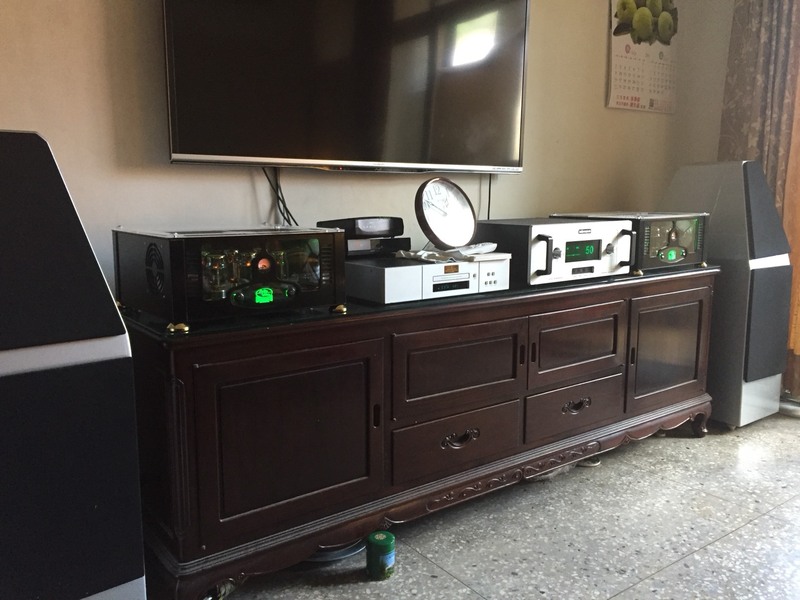 1 the priority is to use the pre-amp of the original company in order to match the external shape and sound quality; 2 if the pre-amp is of other brand, the light and sweet-style ones are better than those stately-style. There are one RCA and one XLR terminal on the backboard of the Challenger 250, and it is suggested to use the balance terminal prior to the RCA terminal, and it is because the RCA input terminal will require one extra procedure of phrase splitting of music signal. Belafonte Sings the Blues was recorded in 1958, and it was not as good and popular as the version of Carnegie Music Hall because on one hand it was Blues, and on the other hand, it was not a live recording in the music hall. However, it was still a good record, and people may have different opinions about its contents. Just as I said, it can be used as a touchstone for the acoustics, which will be all right if it sounds good. If not, it is because that the acoustics lack in clearness, details and vividness.